This is the 3rd year we have received the ECTAC Award for Exceeding Expectations in Student Achievement! Join us for Breakfast and a Chance to win Aquatica Tickets! 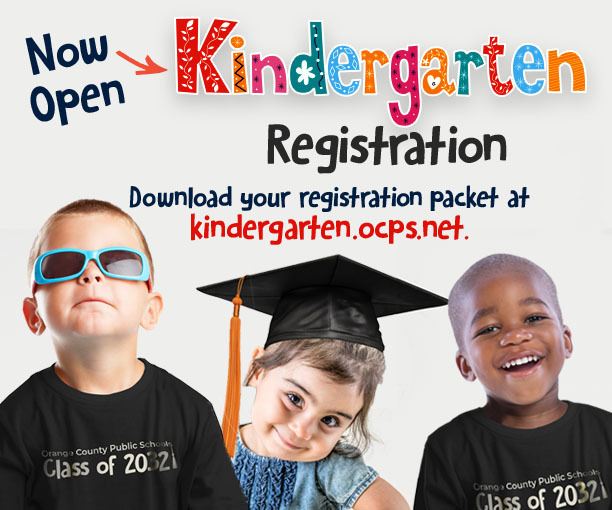 Join us on March 7th and Register your Child for Kindergarten! Welcome To Oakshire Elementary School! I hope you had a wonderful holiday and wish you the best in this new year. I am happy to report that our iReady reading mid-year diagnostic goal, set in August, was exceeded by 1% and 51% of our students have reached proficiency according to the MOY iReady Reading Diagnostic. This being the middle of the year, I believe we are well on our way to having most if not all of our students proficient in reading by the end of the year. Of course, we have high expectations at OES and we continue to help those students needing additional help and are pushing our highest students further. Please help your students work on iReady reading and math at home. As I have said many times, your child’s educational success is based on a partnership between the school and parents. Without you, the students will not be successful. Thank you for all you do. Report cards will be going home Friday, January 18. Please contact teachers if you have any questions or concerns. FSA Parent Night is this Thursday, January 17th and we courage parents of 3rd , 4th and 5th graders to attend. It is time for us to ask you to take the annual school survey. Information regarding the parent survey will be coming home soon. Thank you for your help with this for we value and listen to the suggestions you make. We had a great turn out for our PTA Father Daughter Dance on Friday. Thank you to all who attended. We were so glad to see all the 3rd, 4th and 5th graders who came to Saturday School this past Saturday. We look forward to seeing even more faces at our March 9th Saturday School. Parents, please take the Parent Survey by clicking the "Parent Survey" link on our homepage to let us know how we can better serve you and your child(ren). Your opinion matters!